How to Apply for Passport Online in India ? Every Indian Citizen should have Indian Passport as it is the biggest proof of Citizenship. The Offline process to apply for Passport is really time consuming. So, with time the Ministry of External Affairs have started the Online Procedure for Passport applicants. Nowadays, most of the people follow the Online Procedure for applying for Indian Passport. You must not entertain any Agents for this purpose. This is a simple procedure which you can follow by yourself and would just Cost you Rs.1500 whereas agents could charge you anywhere between Rs.6000-Rs.10000 or even more. Step 1 : First you need to reach the Passport Seva Website. Go to Google and type Passport Seva, click on the first link & you will reach the Passport Seva Website. Step 2 : Click on Register Now at the left hand side. You will be directed to a User Registration Form. We would recommend you to go with the Alternative 1 as you can take as much time as you need to fill up the form as you can do it offline. Click on the link to download the application form i.e., ” Click here to download the Soft Copy of the Form “. Enter your Pan Card Number and Voter ID Card Number (If Available). If you do not have a Pan Card and/or Voter ID, you can leave the respective box blank. Select YES if your Father/Mother/Spouse is a Government Servant. Otherwise Select NO. Select NO if your Present Address is in India. Otherwise Select YES. Select YES if you Permanent Address is same as your Present Address. Otherwise Select NO. Fill out your Emergency Contact Details such as Emergency Contact Person’s Name & Address, Mobile Number, Telephone Number & Email Address. Fill out the Contact details of 2 References in your City/Town/Village : Contact Person’s Name & Address, Mobile Number & Telephone Number. Enter Other Details : (1) If you have charged with any criminal proceedings ever, Select YES. Otherwise Select NO. (2) In the last 5 years, if have you been convicted by any Court or been jailed for 2 years of More Select YES. Otherwise Select NO (3) If you have ever been refused or denied for Passport , Select YES. Otherwise Select NO. (4) If your passport has even been impounded or revoked, you must Select YES. Otherwise Select NO. (5) If you have ever applied for any political asylum in any other country, Select YES. Otherwise Select NO. (6) If you have ever returned to India on Emergency Certificate or have been deported by any other country, Select YES. Otherwise Select NO. Finally click on Validate and Save. 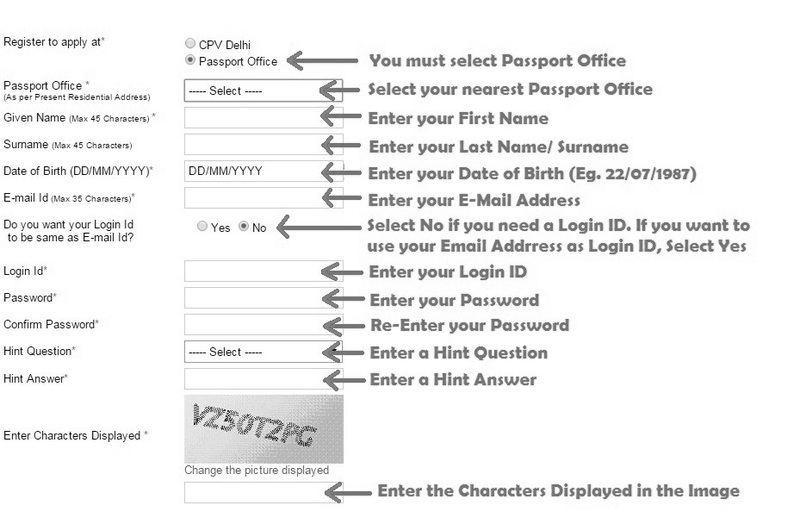 This will save your Passport Application E-form in Xml Format. This completes your for filling process to apply passport online. Know about : List of Documents accepted as Address & Date of Birth Proof ? Step 8 : Choose your fully filled XML E-form from your Computer’s Directory Path. 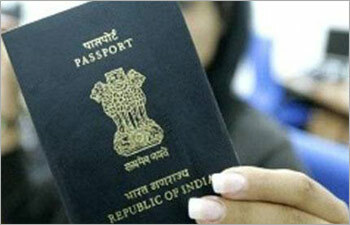 Click on YES if you want to go for Passport Seva Services. Otherwise Click NO. Check if you want to enrol for any other extra benefits. Finally Click on Upload to submit your E-form. This will generate your ARN Number. You can now check your Submitted Application with ARN Number at Applicant Home Page. A fee of Rs.1500 will be charged for Booking the Appointment. Three chances are given to the person for Booking an Appointment with the payment of Rs.1500. Accepted mode of Payment is by Credit/Debit Cards, By Bank Deposit or By Bank Draft. In the process to apply passport Online and Booking appointment, this is a must process. Note : Remember to carry all your Original documents and 2 set of Self Attested Photostat copies of each. Also carry your duly signed Passport form with your photograph pasted on it. 1. Your Original Documents will be checked and you will be asked for the Photostat Documents. 2. After verification of your Documents, you will be asked to give your Biometric Information like your Finger Prints and Thumb Impressions of both the hands. Your photograph will also be clicked for online records. In this step also, you may be asked to show your Original Documents. 3. After completing both the above steps, you will be handed over a Final Acknowledgement Receipt, which you must keep safely. 2-3 weeks after your Appointment Date, you will be intimated about the Initiation of Police Verification Request for your Passport Application File at the Police Station/Thana specified by you while filling up the Application Form. You will go through Police Verification at the address specified by you. At the time of Police Verification, you will also be asked for the Photostat copies of all the documents which you submitted at your RPO/PSK with your Application. Also, you will be required to take Signature, Name & Addresses of 2 Witnesses on a Police Verification Form issued by the Police Department. The invigilating officer will provide you with this Form. Within 1-2 weeks after the ‘Clear’ Police Verification Report , you will undergo LIU Verification. Lastly, you will under LIU Verification in which you will be asked few basic questions about your Family, your profession, your permanent address, father’s /Husband’s Name and Profession etc. Once you have a clear LIU Verification, Your Passport will be dispatched to your Postal Address approximately within a month’s time. You will receive an Email and SMS as soon as your Passport is dispatched with the details of Speed Post. 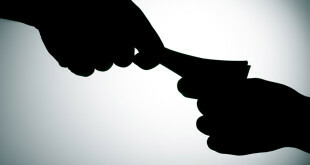 Important Note : During Police Verification or LIU Verification, you may be asked for some Bribe. We request you not to entertain any Bribe at any point of time during the Complete Procedure while making your Passport. Remember that Rs.1500 is the Total Fee you pay while Booking your Appointment. You do not have to pay any other fee apart from this Amount. Don’t forget to file a complaint to passport vigilance if asked for a bribe. This is the procedure of ‘How to Apply for Passport Online in India?’. If you have any doubts or queries on the process to apply passport online, you may leave your comments below. 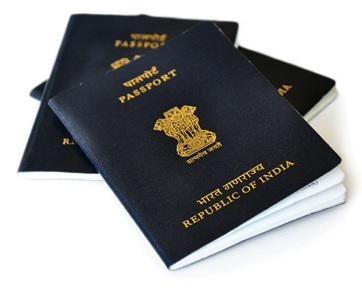 How to Change your Name or Surname in Indian Passport ? What to do if asked for Bribe for Passport Police Verification ? 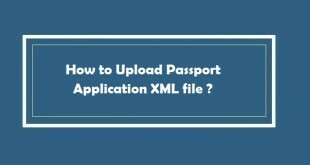 How to Upload Passport Application XML file ? I leave in rented house, so i don’t have any address proof, can you tell me how should i proceed. In case you are living on a rented accommodation, you need to provide a Registered Rent Agreement as a proof of Address. Please note that the Registered rent Agreement will only be accepted if you are staying at the same address for more than 1 Year. A Birth Certificate is a mandatory DOB Proof for all applicants born on or after 26/01/1989. Don’t worry ! Now also you can apply for a new Birth Certificate. Once you have it, you can proceed with the Passport Application. I want to apply for tatkal. Do I need Annexure I? Do I need photos that are to be pasted in docs with white background? Thanx so much for your reply. Actually I just browsed the passport website and they say affidavit as per Annexure I is mandatory. So do I need to visit notary and ask them to prepare it before applying for passport? Also my dads name’s spelling is slightly diff in election id than other docs so out of 16 it is mandatory to bring one doc from point 1-9 and I have only ration card in name of my dad. My name is also entered in it so can I include it with adhar n driving license? The Notary will prepare Annexure I for you in just 10 minutes. Just carry a printout of the specimen of Annexure I and ask the Notary to copy the text exactly as it is. You must not refresh while you are making any transaction online. Make the payment at one go. i am already last the payment page tell me how to pay with opt…. They will usually have more focus on you name and not on your dad’s name. It will work according to me and there are 99.9% chances of it. However, if you are really cautious about it, you can get your father’s name updated in your Voter ID Card. Remember, this could take at least 2-3 months or even more. I would suggest you that you must apply with your current documents and I suppose all will be fine. Don’t Worry, Go Ahead ! 3- Bank Statement for more than a year. The only thing i am worried about that my 10th Marksheet has the name printed as “Surya Kant Bhargav” instead of “Suryakant Bhargava”. You can see there is extra space in first name and the last does not have “a”. Do i need to make this correction first in my 10th Marksheet OR it will be okay and other documents will be sufficient for the application?? You will have to correct your Name in High School Marksheet only. If you had same name on Birth certificate and High School Marksheet, then just by providing an Annexure E, the documents would have been Sufficed. Nowadays, the procedure to make correction on High School marksheet is quite easier as it can also be done online, at least for ICSE, CBSE and a few state boards. What is police clearance certificate.who has to submit that.can we avoid police verification if we submit that form. You need a PCC when applying for visas of certain countries and in certain cases while applying for a passport. I need a passport for my wife. Her name has changed after marriage and is not as per the 10th mark sheet. However, her Adhar Card & Driving license has the new name. Will I require a marriage certificate or affidavit for the same before applying for the passport. Should I mention the name change in the application form. Kindly advice. Yes you need to mention the new name of your wife on the application as you have already changed her name on documents like Aadhaar card and DL. Yes, your wife will need a Joint Affidavit of Name Change (Annexure D) or a Marriage certificate. I would suggest you to get an Affidavit from a Notary, which will not take more than 10 mins. Rest all is fine ! yesterday i recived message regarding police verification so i approach my two witness to come with me but unfortunatily one of my witness had gone abroad two days back only so what is alternative for me . You can find another witness in your locality. Verification Officer will just need their name, address and signature and nothing else. As it clearly states, your present address is not in India. You must mark NO for it. Also, where it says “is your permanent address the same as the present address” is not true in your case, so you must mark NO here. Thanks for your time and response. So for people who stay outside the country, what are the options for re-issuing passport in India? If they are not able to re-issue in their country of residence? It is still our own home so I assumed it will always be my permanent residence. You will need to mention your current address where you are staying right now(your present address which is out of India). However, you also need to mention you permanent address(which is in India). And the condition which says ” is your present address the same as permanent address” is not true. Hope you are getting my point. Thank you very much for the clear response. I understand. I was confused whether there were separate rules for people who stay outside India while maintaining a permanent residence in India. Thanks. You’re Welcome sandhya, Good Luck ! Driving License is not accepted as an Address Proof. Click on the link below to Find the list of documents accepted as Address Proof while applying for a passport. Thanks a lot Anirudh for such clear and concise information. The only problem is I tried to renew my passport before going through your tutorial and now I am stuck. I basically tried using Alternative 2 i.e. fill the application form online. I have only filled in the details that were readily available with me and was planning to fill in the rest of the details later. I did not note down the generated reference number and now I am unable to access the saved information. I should be able to see a “Apply for Fresh Passport/Re-issue of Passport” link but it’s not visible now. I am unable to edit saved details. Please note that I am yet to submit the application. Can i go for alternative 1 now? 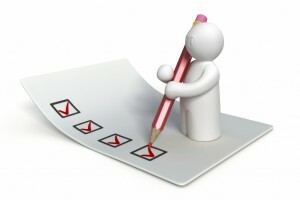 It is always recommended to Use Alternative 1 as you can take as much time as you want to fill up the application form. Do check all the information before uploading the form. Do remember that till the time you do not make payment for an appointment, that particular application will not be considered. So, make sure you make payment for your appointment corresponding to the new application. Thanks for this wonderful article. I read few replies for present address is out of India but still they are not clear. 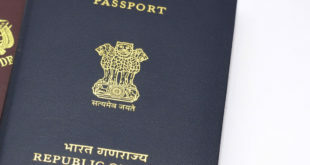 First, can a person with present address out of India apply for renewal of passport in India during short visit to his permanent address (passport has Indian address) ? Second, if yes, then how the present address (abroad address) will be verified by police for PCC as it is mandatory when address too is changing during renewal ? Indians residing abroad and visiting India for a short period: SVP(Short Validity Passport) can be issued immediately, valid for one year, on production of return ticket to the country from which the applicant came and/or a document of identity such as driving license, Green Card, employment permit, social security card, health card, labour card etc. indicating the applicant’s identity and nationality. First of all a beautifully described article. I have applied my passport in Chhattisgarh state and now after marriage i have shifted to Karnataka. So if i have to apply for re-issue of passport having the changed name, can you please let me know the procedure and what all documents i need to submit? I have the marriage certificate with me. Actually i am more interested to know about the police verification procedure, where it’s is going to happen? Thanks that you liked the Article ! Police verification happens at all the addresses where you have stayed in last 1 year (which you fill up in the application form). I am applying for passport for me as well as my parents. I have registered myself and created an account on the passport seva office. Do I need to create seperate accounts for my parents or I can apply for them from my account only? You can apply from the same account, you dont need to create separate accounts. It stands for, “Emigration check required” status. It is endorsed in passports in case if a person is leaving from his/her native country to another country for job/employment. The ECR stamp is endorsed to the passports of those people who have no educational qualifciations or who have educational qualification below 10th standard. It is required for the safety of our Indian citizens in abroad due to the legal conditions of other countries and is based on different conditions or situations. I have created an account on Passport Seva. My permanent address is of Buldhana, and I have been living in Mumbai for my studies since the last 1 and half years. I stayed at a place in Mumbai for around 10 months, and have now shifted to a new room. I have still not completed an year at my current place of residence. What all addresses am I required to mention in the form? Where will the Police verification be done at Buldhana or in Mumbai? Do I need to select a PSK in Mumbai or near my permanent residence? 1. You need to mention all the addresses where you have lived in last 1 year. Verification will be done on all the addresses where you have stayed in past 1 year. However, you need to provide the address proof of only the current residence. 2. You must choose a PSK where you are staying right now. That is not mandatory. Even if you upload the documents you will be asked for documents at the PSK. An affidavit supporting the same will solve the issue. You must apply from your current address only. 1. Can I apply passport online for 6 months old baby?? 2. As a father I am living abroad what documents should I send from my side to India. 3. Is Police clearance certificate required for baby passport? 1. Yes, offcourse you can apply for your 6 months old baby under minor category. 2. For minor applicants, present address proof document in the name of parent(s) can be submitted. As you are out of India, your wife’s address proof will be considered. She will also need to submit a copy of her passport. For minor applicants, copies of documents can be attested by parents. Do remember that the minor applicant is eligible for Non-ECR till he/she attains the age of 18 years. Once your child attains the age of 18 years, he/she needs to re-issue the passport by submitting the Non-ECR proof. I need ur valuable advice. I need to get my husband’s name on my passport but I don’t have the marriage certificate. Is there any other way to get the spouse name on the passport without the marriage certificate? Thank for your prompt reply & kind explanation. I have input all the information in the online form and submit it successfully. Now, when I view the input information I find a minor mistakes but I am not able to edit it. Could you please advise me how to edit once submit button is pressed?? If you have already submitted a form and you have not booked your appointment, you can ignore that application and fill another form. But if you already have booked an appointment, dont worry minor mistakes can be corrected in the PSK during your appointment visit. Yes there is very simple way with which you can get your husband’s name in your passport (but only if you have changed your name or surname after marriage). Get an Annexure D(Joint Affidavit) by any Notary. Hi I am syda,I don’t have ‘date of birth certificate’, is there any process without ‘date of birth certificate’ apply the passport.plss tellme,without date of birth I have all other documents. If you are born after 26.01.1989, it is mandatory to submit a Birth Certificate. Don’t worry you can get a Birth Certificate within 7 days from your local municipal/nagar nigam office. Thanks for this wonderful blog.It has lot of valuable information. I have a valid passport which is expiring in 2017, so i just plan to renew it. I got married in 2013 and my wife’s name in her passport is the name which she was using before marriage. I also wanted to include my spouse name in my passport, so what all documents are required for the re-issuance and for the addition of spouse name. Also, the address which is mentioned in my passport is my permanent address of Madhya Pradesh where i am currently not staying and i am currently staying on a rented apartment in Pune( From last 3 years on the same apartment)As an address proof i need to produce Registered rent agreement or Gas -connection bill would suffice. Once this process is done i would like to go for my daughter’s passport or it can be done simultaneously. Awaiting for your reply. Thanks in Advance!! First of all, if you want to include your wife’s new name in your passport you must make sure that she has her new name in her Address Proof Documents like Bank Passbook, Aadhaar Card, Voter ID Card etc. Get her name changed in at least 2 documents. Once this is done, you can make an Annexure D(Joint Affidavit) by a Notary with your and your wife’s joint photo and signature on it. Your Rent agreement and gas connection bill will be considered if they are on your name. Remember that once you have your passport with the new address and your wife’s name on it, It will also be considered as an address proof document for your wife. Also, using your passport she can endorse your name on her passport. It will be good if you apply for your daughter’s passport after you get your passport. I need ur valuable advice. I am going to apply new fresh passport , I need to get my wife name on my passport but I don’t have the marriage certificate. Is there any other way to get the wife name on the passport without the marriage certificate? A gazette notification for change of name or annexure D will also do. Hai I am applying for passport but there is one problem. I won’t get thumb print by biometric machine.what can I do now???? Bez my fingers are so sensitive and I have sweating problem.. What I should do plzzzz tel me???? My present address is different from the address which is written in my voter id card. Will I face any problem? If yes then what is the solution? Plz help me. Yes, your application will be rejected due to mismatch in address. You need to update your address on either voter id card or any other document mentioned in this article. Thank you so much for your detailed and well explained article. I would like to re-issue my passport (expires in May 2016) with my husband’s name endorsed in it. I had applied for and got my passport before marriage and so the address is that of the previous residence (Delhi) from which we have moved out. I have been staying in Hyderabad for the past 6-7 years and now am back in Delhi because my husband has gone abroad on work. “Remember that once you have your passport with the new address and your wife’s name on it, It will also be considered as an address proof document for your wife. Also, using your passport she can endorse your name on her passport. It will be good if you apply for your daughter’s passport after you get your passport.” from your previous reply. My husband has a valid passport with the Hyderabad address and my maiden name endorsed in it. Will the above apply for me also? Does re-issue of passport with just the name endorsed require police verification? After this process is complete we would also like to apply for our children’s passports. My son who stayed in Delhi with me while in school for about 16 years (at the same address), shifted to Vellore in Tamil Nadu in July 2014. He is applying for a fresh passport, After evaluating all the possible options he’s decided to apply giving his hostel campus address as the current address and the Delhi address as the permanent one.. All his documents are correctly in place. However, i understand that there would be police verification at bot the addresses. My first concern is how long would these verification(s) take approximately? and my second concern is what are the negatives of having the current hostel address appearing on the passport? as the hostel address will change next semester. The reason why he is not applying from the Delhi address is because of the small window that is available (when he comes during vacations) to expect the apply online–>appointment–>police verification process to happen within it. I am working in armed forces. I want to appear in the passport office at my home address. I also want that my Police verification is done at my home town only. Is my presence necessary for the police verification in case I am on duty? How should I go about getting my passport made? Please guide. 1. You must always apply with your current address only as main police verification takes place at your current residence. 2. As your husband is abroad, you cannot produce the original of his passport which is also required at the time of document verification. So you should look out for any other address proof. 3. Re-issue with change of address needs police verification. If you had been staying at the same address as that on your previous passport, it would not require any verification. Can i submit Aadhar card as a proof of address ( my address is rented and not registered rent agreement ) , but since i got Aadhar card and photo bank pass book in this not registered rental address, i can submit these 2 ( aadhar and bank passbook) as address proof right ? 1. Only registered rent agreement for more than 1 year is accepted as an address proof. 2. Yes, Aadhaar Card on your present address will be treated as an address proof (Only if the issuance date is more than 1 year). Photo Passbook/Bank Statement from HDFC will also be accepted. 2. PAN Card is not a valid DOB Proof for passport. You need Birth certificate or High School Marksheet/School Leaving Certificate. so it means both aadhar card and Photo Passbook/Bank Statement from HDFC will also be accepted. as address proof , and if i have both, then no need of a registered rent agreement right ? Yes, HDFC Photo Passbook/Bank Statement. Hello Sir I want to apply for new pasaport but in my voter id card and in aadhar card the spelling of my father’s name is not same as my high school marksheet so what should i do …….. ?????? Yes, you dont need rent agreement. Aadhaar card alone would not be accepted. However, when you present aadhaar and bank passbook, it will be accepted. Correcting you father’s name in aadhaar card is not that tough. You can do it online. i am applying from my college hostel for a fresh passport in the normal mode. i have been here for more than a year. i have the bonafide letter from my institute. Will this along with my student id be sufficient for my present address proof?. i have my adhaar card too but with my permanent address (my parents home) on it. Will that be required to be taken when i go for the passport appointment.? A release from Passport Officer S. Sasikumar said that bank statements and passbooks issued by other scheduled commercial banks which were accepted hitherto as proof will not be entertained hereafter.The 26 banks whose passbooks and statements which will be accepted as proof of address are Allahabad Bank, Andhra Bank, Bank of Baroda, Bank of India, Bank of Maharastra, Canara Bank, Central Bank of India, Corporation Bank, Dena Bank, Indian Bank, Indian Overseas Bank, Oriental Bank of Commerce, Punjab National Bank, Punjab and Sind Bank, Syndicate Bank, Union Bank of India, United Bank of India ,UCO Bank, Vijaya Bank, IDBI Bank Ltd, State Bank of India, State Bank of Bikaner and Jaipur, State Bank of Patiala, State Bank of Hyderabad, State Bank of Mysore and State Bank of Travancore. Shakrappa instead of shankarappa, one ‘a’ is missing Is that leads any problem. You can just fill the form and take appointment online. But you will have to visit the psk/rpo for further procedure. Is birth certificate should be in English?? My birth certificate is in Kannada so..
1. I dont have any supporting documents with my husbands Surname so what should i enter in the Spouse Surname Section?? 2.we have adhar card,pan card,licence and rented agreements for 5 yrs in same house in pune..(temporary address) but in permanent house i dont have any documents related to the new address as it is newly built in another state. so what documents do we need to provide for permanent address ??? Hi sir. Actually my hometown is jaipur (rajasthan) but im studying in guwahati (assam) so police verification will be at jaipur or guwahati?? . Or if jaipur then it is compulsory for me to present their? Verification will happen in 1 single day within a week or 2 after the application has been accepted. Address doesnt matter, you can change it later anytime. If he applies before hand i.e. some days before coming for vacations he will get an appointment for a later date which will be fine for him. But that is really not going to work as it is not his current address. The applicant should always apply from the current address. Yes, presence is necessary. It will be better if you apply before coming for some holidays. 1. Aadhaar Card and Bank Passbook of your current address will be accepted. 2. Pan card will not be accepted as DOB Proof. Yes you have to redeposit the amount as it is valid only for 6 months or 3 appointments. Student ID Card of only government institutes are allowed. You can present an affidavit to support your case. Make an affidavit for the same. It is not mandatory that it should be only in English. Does major change in mane (full name change) requires pre police verification or post police verification. I am applying for fresh passport online I just want to know is it necessary to mention house no. at address page?? I have all documents adhar, election ID, birth certificate which don’t contain my house no.?? If I fill the application online what is the passport form I need to carry for the appointment? You will be able to download the filled up application form after you submit it. You need to carry it along with other documents. Mention the address as mentioned in all other documents. House Number is not mandatory if it is not there on other documents. hello sir,I want to apply for a fresh passport.I live in west Bengal .can i opt for Gangtok for psk appointment.and please provide the list of documents required. Thank u for giving a lot of instruction details regarding applying passport. My doubt is 1) any two photo ID proofs are ( bank pass book & aadhar card ) only enough means ration card is not required ah?? 2) i am a student.. ( my college ID’s have my wrong residential address ) so only bobafide certificate enough ah?? (In the above questions belongs not only for passport applying., and for verification process also..) Thank you..
1) Bank Passbook & Aadhaar Card will be accepted as an Address Proof. 2) College ID and Bonafide will only be accepted if you are staying away from your parents for studies. Only Bonafide will not be accepted. You must only apply for your local passport office/psk which comes in or near your area. It required police verification as a part of process after you application has been processed. The documents which you are using should have the same name or should be supported by valid documents. I m working in state government sector,they r not giving me noc certificate to apply for reissue of passport,plz advice me some other alternative. 4. Marriage Certificate ( but it has her maiden name in it), should annexure D be made? 5. DOB is 28th January 1984, she don’t have birth certificate and schooling till 4th standard only. Should annexure A will work? So with all these documents can my wife apply for the passport? Also as the annexure A means for illiterate person, will she be using thumb impression but as she know to write her name and sign and also speaks english by the nature of business we are in “tourism”. We are doing the process as specified above, but the form is accepted — ‘entered police station does not lie in your district’. We have gone the home page ‘know your police station’ and have selected the station and in fact tried all different one, but no success. For example, our state is UP, district is Gautam Budh Nagar and sector is 30, can you suggest…..? You can get a marriage certificate to support your marriage. you dont need permanent address proof. Just your current address proof is required. Hi Anirudh, My parents are applying for passport but they dont have marriage certificate. will Annexure D helps both my mother and father to prove their marriage? or Annexure D is only for women applicant. If that is the case what document that male applicant should submit. IS IT NECESSARY TO UPLOAD DOCUMENTS?? This is a bit complex situation. You must call the Passport Seva Helpline to get an appropriate answer. Hi, after filling online application, do we need to affix photograph or should we carry photograph and affix in front of the officer? What does ‘duly attested by head of office’ means? I applied for the fresh passport and i already submitted a form for that but i did mistake that the place of birth in the form which i filled that is surat but in birth certificate the place of birth is my village name vibhaniya. Please suggest me what i have to do ?? Does marriage affidavit is called annexture D? I have marriage affidevit also with me is tat enough to get my name on passport as radhika khandelwal? I have my birth certificate but in the name column my name is not mentioned. Instead it is written as “Not Specified”. How to change that to my name? Hai Anirudh, I’m a resident of Vijayawada. while I am filling the passport application form, I haven’t found my nearest passport location vijayawada. So which option i would like to select for my address and nearest police station in vijayawada. My permanent Address is in Hyderabad (parents r staying) , but my present Address is in Bangalore(more than an year).All my orginal documents r with my parents (Hyderabad).Can i choose PSK in Hyderabad.Also will the police verification and LUI verfication can be possible at my present address(bangalore).plz suggest.And also provide me the details about the number of pages that need to be given during the registration process. i just completed my studies.what do i fill my employment status in passport application? what are the documents required if i am not employed? My Permanent Address is in Hyderabad (parents live) and I am in Bangalore(present address).Can I choose PSK in Hyderabad. Because all my orginal documents are in hyderabd. Will the police verification and the LUI Verification cab be possible in bangalore. Also plz suggest me the no.of pages to be selected in the passport. i lost my passport. how to apply for re-issue of passport. can you tell me procedure for this. I have written an article on What to do if your Passport is lost or Stolen ? . You can go through this article and come back if you still have any doubts. my date of birth is 03.02.1989 as per rule after this date of birth i have to submit the birth certificate for gettiing passport but i dont have that one what is its alternative option please guide me. hi i am vamshi from telangana but I am staying in Kerala my permanent address and birth all belongs to telangana region only I want to apply for passport from Kerala. is it possible for apply….? Yes , you can apply from Kerala if you have a local address proof document which is accepted my the passport department. I just want to ask that i have filled my father’s and mother’s name as witness .Is this valid ? or do it requires the witnesses not from same blood relation , as some of my friends told me..
i have filled passport form online and there i have putted my father’s and mother’s reference as witness .Is this valid or not ? if not then what i should do next..? Hi, anirudh ur blog is very informative. I’ve applied first time for passport, my appointment is in this week. My doubt is: after filling online application, do we need to affix(on form)/carry photograph (with white background 4.5*3.5 cm) or any passportsize photo will be ok? Bcoz, according to passport website infobooklet there is no need of photograph at PSK. I am living in Pune and i want to apply passport for my Mother. in pune I am living in rented house and rent agreement is on my name. my mother having all documents from Madhya Pradesh. please tell me if she can apply passport from PUNE or we need to apply from Bhopal(Madhya Pradesh). You mom would need local adddress proof which she does not have. It is a better idea to apply from bhopal. Recently I have changed my name NITESH Kumar bhardwaj to nitesh bhardwaj due to issue in passort. I published Add in news paper it s 2 days old . I live on rent. I have have Andhrar card more then two year old. so still I have to put present and permanent Adress is deffent or permanent or present can fill the same of both coloum. I have all the document on my landlord Adress, can I put this Adress on both coloum parmanent and present. Bank pass book. Aadhar card. My name is Sumit kumar singh, currently I am working in chennai (more than 1.5 years) but my permanent address is Ranchi. My all documents contains the address of Ranchi only.In Chennai I am staying in P.G. So please suggest where should be my PSK and is it compulsory that I have to go Ranchi for documentation or any other things.Where my verification will be done? Myself Ganesh. Now I am staying in bangalore for job searching. Actually my home town is machilipatnam. We are staying in rented house. Recently one year back we shifted to another house. I have all documents with my old address. So can I apply for passport with the old address? I have Passport seva kendra at vijayawada, am I need to apply only in vijayawada / can I apply to hyderabad for appointment of certificate of verification. Is it impact my Police verification? Please help on my queries. – I have my name as ‘Akash’ instead of “Akash Upadhyay” in my 10th marksheet (in all the other documents it is “Akash Upadhyay”), so do I need an affidavit for the same? – I currently residing in hostel doing my B-tech in vellore, Tamil Nadu. I’ll be taking appointment for the submission of the documents on either 22nd or 24th of April. Now my semester ends on 24th of May which is almost 1 month after the submission of the documents. So is this enough time for Police Verification,LIU & the passport arrival keeping in mind the state election during May? – One of my reference contact is staying here during the semester break can he be alone able to complete the Police verification? – If I get done of the verification part but couldn’t be able to collect the passport from the postal service then what? How do I get my passport? So advise me whether I apply for it now or I wait for sometime & get it done in the next semester? If a valid passport impounded and after that revoked . passport office says apply for new pp. in that case police varification will be done or without police verification they will issue a new booklet with new information. I have applied for regular passport but my birth certificate has been either lost or not available. and i already done a payment of application so what should we do now. what should be included as references only neighbors or family members are also acceptable. I want to apply passport for my wife and I want to get with my new name so Marriage certificate is valid? Or do I need to give any other supportive documents. Married women can provide marriage certificate as a supporting document of name change after marriage. Annexure D i.e. Joint Affidavit can also be provided. If you are born on or after 26.01.1989, it is mandatory to have a Birth Certificate. If you had a Birth Certificate and misplaced it, you must contact your Municipal Authority and get a duplicate. You can have references from your family or neighbors, it doesn’t really matter. Hi! I am applying for fresh passport. I have changed my surname in the past. Do I need to mention this or not while applying for the passport? I have changed marksheets of both 10th and 12th classes with changed surname. Thanks. I am currently residing outside India and i am trying to renew my passport in india when i visit next week. My permanent address in India has not changed and i have mentioned the address outside India as my “Present Address” in the application. Do i need to present any supporting docs for the “Present address” which is outside India? Yes, you can use the same id for all your family members. I am from Kolkata,but currently working in gurgaon.kindly tell me the process to apply passport from gurgaon. Hello, I am a student of IIT. I am applying for pp. I took bonafide & hostel residence proof from my college. Now, what document should I select from drop down list as address proof sine there is no option of college hostel certificate and other documents are not suitable to me. Please mention your hostel address where you are staying as present address and your parent’s address as permanent address. For proof of residence of your hostel, you should provide a Bonafide Letter from authorized signatory of college (On official letter head). Which drop down are you talking about? Hi, I am 50 and need fresh passport for me and wife. Do we need marriage certificate (surname of both are same) since no certificate prepared at that time? I have no birth certificate and my x th board certificate bears name as “Manish Kumar”, Aadhar Card as “Manish Agarwal”, EPIC as “Manish Agarwal”(with different address) and PAN as “Manish Kumar Agarwal”. IncomeTax website is also not accepting Aadhar linking as name differs and I cannot get Aadhar corrected as X th board has different name? So its all messed up. I’ve already booked appointment for my wife on 31/5/16. also mentioned spouse name as mine, Should I cancel it and get marriage certificate? Kindly suggest how to get passport of both in these conditions? in that what should i do…? My name S.Loganathan in all Id and address proofs. In school and degree certificate it is S.S.Loganathan. one S got added extra by mistake. I don’t have DOB certificate as my DOB is 23/02/1988. Also the company which I am working is going to process visa for me, where I got S.Loganathan as my name, what can I do. Problem is 1 initial is extra in certificate’s only. Suggestions please. I have my passport since 2008. Recently I got married. My wife doesn’t have any password. So, I want to get issue my wife’s passport. But for that, I have to update(reissue) my passport with spouse name. So for that I have to submit, my passport and marriage certificate. In marriage certificate, my wife’s name is mentioned which is her name before marriage. Her other documents(adhar, PAN) erc. also mention her name before marriage. Please let me know about the procedure for above. Thank You Mr. It was really helpful as I am the first person applying for passport in my family. I applied an online application form for a fresh passport. My passport type is tatkal, while I was applying there was no option or link for uploading a photo and signature. I have submitted the form and done my payment, I only need to take an appointment but I am worried about the photo and signature thing. Can you help me out? You must have got the pdf copy of the form. You need to take a print of that form and paste your photo on it. Also put your signature on the box provided below the photograph space. Your photograph will also be clicked by webcam in the passport office, during your appointment. It depends upon the verifying officer. There have been cases where they reject Birth Certificates in another language. In some cases they accept it as well. I would suggest you to apply for the passport. you will have 3 chances, you can provide other documents if not accepted for the first time. b) since her address in the application form is the same as the one in her existing minor (5 years validity passport ) she need not submit any fresh address proof ?? e) do you need to take print out of the submitted form and paste photographs etc ? My birt certificate des not have my name. What shoud I do? I have a question regarding my Aunts fresh application for Indian passport. Can I submit her online application from United States on the computer? Do you think I should apply for Tatkal or the regular process will be OK? Your blog provides very good information. i have successfully submitted my passport application online. now i am looking for appointment at PSK gorakhpur. appointment availability status shows appointment is available for 23 july but i will be able to reach gorakhpur after 7 july. so can i book for appointment on/after 8th july today only OR i should wait till appointment availability status shows appointment is available for 8 july. also need to apply for my kids below 10 years. Please let me know the procedure and required documents for both cases. My friend has applied for passport recently.She is a working women in a public sector and with out giving NOC and giving status as Home maker she got passport. Is there any problem in future. What are the documents required for a Widow Applicant……..
Dear Sir.,I belong to Varanasi but from last 2 years I stay in Sirsa. I want to apply for passport with my wife and kid. I have pass book with 2 years with photo… It is a joint account with wife and only address proof for sirsa for both of us. Is it sufficient… And in pass book no house no mentioned. Pls tell whether it will be considered. Or not. Hey Anirudh! Really helpful blog! I have an issue regarding my name. Can i give my name as HIMANSHU DEV in the passport application form? And if i cant, do I have to expand the initials (A V) while entering the name? I applied for a fresh passport in Feb this year and went for the first of the three appointments the same month. I applied as Rohan Menon but the birth certificate had my name as Baby Rohan (which the issuing authority referred to as baby (and not a surname). All other documents (class 10th certificate, class 12th certificate, college id etc.,) have my name as Rohan Menon. However, the Passport officer put my application on hold considering this as a change of name. This is not a name change and correction was required and hence we got the municipal corporation to re-issue the birth certificate with the name corrected from ‘baby rohan’ to ‘Rohan Menon’. They have re-issued the certificate with the corrected name. Now, all documents in order when i login to the passport seva kendra website to set up an appointment i see that my name on the application has been changed to ‘Baby Rohan’. My question to you is can i schedule the appointment and go and get my passport application processed as the appointment printout will be printing ‘baby rohan’ on it instead of Rohan Menon’ OR will i have to re-apply for the passport as Rohan Menon? Will request to yo kindly suggest me a solution. Hlo sir I hd submitted reference detail of my parents…..
Hi Anirudh, wonderful blog. Thanks. Got a few doubts about applying passport. 1. Can we give references of local friends who do not live close to my current address? 2. I have lived in the current PG for 2.5 years. Is rental agreement mandatory or can I just submit my SBI bank book with current address? 3. Also, I have changed my name (actually not a major change but deleted one letter from my first name and expanded my initials) in 2013. I had published in 2 newspapers. Have the Gazette too. All of it has old address where I lived in 2013. Can I still submit them or should I republish in newspapers with current address? And, the Annexure E now should be done with old address or current address? 4. I tried for passport in 2013 itself. But my dad name was mispelt in 10th marks card and my application was not entertained in last stage. Now got the mark sheet corrected. So should I choose ‘YES or NO’ in the option which says if I have been refused passport any time? I have address proof of Aadhar Card created in 2014 but pin code was wrong so i get updated the correct pin code in June 2016 and in Gas connection paper no pin code mentioned and it is 4 year old document. Can they will treat my request in Tatkaal as per above conditions? I have own home but i stay in rented home. now i won’t fresh passport my documennt not have rented adress i have only for 2 year agreement copy and other document adress my own home so i won’t rented adress my passport how to i apply plss help with me. so do i need to expand A V in the passport form? Also, should i give A V as my First name? or Himanshu? I am applying for the passport. I have my name as ‘pramod kumar shivhare’ in educational marksheets and Pramod Shivhare in adhar card pan card. Will I face issues? What should I do in order to overcome these bugs. I am applying for passport. My name in educational certificates is ‘Pramod Kumar Shivhare’ and in pan card and adhar card it is ‘Pramod Shivhare’. Will I face issue in this. How can I overcome it. Can I use pramod kumar shivhare as my name and click on àlso known as and add pramod shivhare there. Or is there any other solution. Should I fill it up as yes or no. I am 23 years old, and my father is a government employee. One more that i have is as a student staying away from parents and my current address being my hostel address and the permanent address my parents place i understand that the police verification will be done at both these addresses. My question to you is should i be having all the original documents shown at the PSK and my parents the copies of all those? kindly let me know. Hi, Your blog is really good. My mother wants to apply for passport. She doesn’t have birth certificate and school leaving certificate. She is born in the year 1960. And doesn’t have educational qualifications. She falls under Non-ECR category as she is above 50 years old. Can you please tell me what all documents will be needed? Hare i like to draw your kind attention that myself Debasish Chattopadhyay , at Paschim Midnapore . i have already passort, i want my spouse and child passport .which wesite i use for this , let me know the details of ONLINE Passport forum & also required documet are need , my wife is school Teacher & child is 4 years 1 month old . Sir please give the details of above .kindly do the needful at your earlyest .my Email address – debachattopa@gmail.com. I had applied for a passport a few yers back and couldn’t be present for verification at that time. Now I have lost my application number. What should I do? Please fill a new application. A passport application is closed in 6 months if you do not take any action. i want apply for reissue passport. i am having a confution.currently i am working in doha qatar. my state name changed now before andhra pradesh now telangana..how to apply for reissue passport in doha qatar…please help me sir..
Hi my self ganesh bhatt my first question is I read somewhere if your aadhaar card is updated then no need to police verification? And second question is any police person is ask for bribe for police verification then ?? I’ve some doubts regrading passport registration. I’m B.Tech (2016-May-5th) passed out student. The last 4 years i stayed at hostel in kadapa district . Basically i’m from Anantapur district. Now (Sep-2016) i’m staying at home after my education (nearly 4 months) and applying for passport. 1) Is it necessary to place my present address and permanent address was same…….?? 2) Is it needed to police verification at both places……?? 3) Am I eligible for non-ECR category…..?? #thank you ji in advance. plz reply me fast, im going to join some MNC in this month. for that Passport is mandatory. Thanks for your blog, it is very helpful. I am actually helping a friend apply for passports for him and his family. He is Bangalore with his wife, but his son is studying in Chennai, who is a major. So what would be the residential address, address proof be for his son studying in Chennai. Please advise. I got my passport before marriage in 2007. After that i got married and my husband died in 2012. My passport doesn’t have my husband’s name. Only my parents name are there. After marriage, i didn’t change my surname in any id’s or certificates. In my Passport, PAN, Voter ID, Banks, Driving Licence, Property Documents and every other documents, my old surname is there. 1)Now i want to apply for the renewal of my passport with my old surname only. I don’t want my husband’s surname in my passport. Is it possible? 2)Do i need to mandatorily include my husband’s name in my renewed passport? Because when i select the Marital status option as widow, it is asking for my husband’s name. I don’t want his name in my passport however he is died. 3) In the application form, at the end, at Name of the place, which place i should write, the city where i reside or city (PSK) where i submit the application? And date should be the date i submit the application online, or the date i take the appointment? 4) will they ask for police verification because there is a change of marital status from my old passport? 5) Do i need to submit the attested documents online also along with the application or just at the PSK is enough? wish to renew my passport, but I don’t have marriage certificate. Is self-attested ‘ANNEXURE ‘D’ is enough to include my wife’s name in my passport. pls confirm. else lmk what other doc. required? Hello.. myself Ashvini. I had applied for the password before marriage and made the payment of 1500₹. There was a spelling mistake in my first name. They asked me to make an affidavit and give ads in newspaper and apply for rescheduling the appointment. But before going for rescheduling, I got married. Now shall I apply continue with old receipt and old details and old proofs or shall I fill again new form with new proofs and again pay 1500 ₹..?? Plz kindly help me to get the passport. I need to change name of my son who is 2 years old in passport, which has US H4 dependent visa stamping in it. can u please guide me how to change my son name in passport .. and also my husband is having H1b visa and he is staying in US now, and me and son are holding dependent H4 visa, could u please suggest whether my husband need to present here for getting new passport for my son? and do v need to go for US stamping again for getting new stamping for my son once after name changed? hello i have filled my form online for passport ..do i need to print my submitted form and paste photo to it separately and get it attetsted?? M a married woman and having a son also, from few months m living at my parent’s place due to some issues between me and my husband. Now want to apply from my parent’s place n my documents are also including of my parent’s place/address. M not having marriage certificate too. So is there may b any issue regarding my marital information or marriage certificate, coz it is not possible for me now to apply for marriage certificate as I know my husband will not support me. Please help me, wt will be the better way..
MY BRO NEEDS TO APPLY FOR A PASSPORT. HE IS UNDERGOING TRAINING AT INFOSYS IN MYSURU. OUR NATIVE IS TAMILNADU, CHENNAI. NOW, TRAINING PERIOD WAS OVER. HE GOT POSTING IN PUNE BRANCH. WHETHER IT IS POSSIBLE FOR HIM TO APPLY AT PUNE PSK? IF NOT, AFTER GETTING APPOINTMENT IN CHENNAI PSK AND OTHER PROCEDURES GOT OVER, AND DURING POLICE VERIFICATION WHETHER HE SHOULD BE PRESENT IN PERSON IN OUR NATIVE? I would like to apply fresh passport for my wife. I have marriage certificate, but in that there is a spelling mistake in surname. So instead of submitting marriage certificate can I submit Annexure ‘D’? If yes, Do I need to carry marriage certificate with Annexure D.
I HAVE APPLIED FOR NORMAL PASSPORT ON TODAY ITSELF(08/11/2016)BUT IN THAT VILLAGE NAME GIVEN SPACE GIVEN AS “AKKANAGARI PALLI” INSTEAD OF “AKKANAGARIPALLI” and my AADHAR card is taken from internet that also today only. I am applying for a fresh passport. I have only aadhaar card and bank passbook as my current address proof. The problem is, my name in aadhaar card is “S. TXXXXXX” as in birth certificate and my 10th marks card. But in my bank passbook it is “TXXXXXX . S”. Will it be a problem? One more thing is the address, where the door.no ,street name, city everything is same in both the document. But in aadhaar card my flat no. and floor no. is mentioned but not in bank passbook. (I’m reciding in an apartment with 6 flats) will it be a problem or should i change it? Enter the name of your Village/City/Town, State, District —? Is that we have to fill place of Birth District or the living place district. You need to fill your Current Village/City/Town, State, District. The problem is, my name in aadhaar card & 10th marks card is “S. TXXXXXX” . But in my bank passbook it is “TXXXXXX . S”. Will it be a problem? One more thing is the address, where the door.no ,street name, city everything is same in both the document. But in aadhaar card my flat no. and floor no. is mentioned but not in bank passbook. (I’m reciding in an apartment with 6 flats) will it be a problem or should i change it? or else can i give lease agreement which is in my father’s name?? Do i really need to rush to the bank which is SBI in 3 hours of downloading the challan and pay up? what happens after that – this is in case i am not using the credit/debit card option. In case i cannot go to the bank in 3 hours what’s the next option? I recently moved to a new adress and I’m a govt employee , was the house allotment letter sufficient for adress proof?? was there any condition like applicant should reside in the present for minimum duration?? is there any chances police verification of old adress?? bcz i dont want to go there agian . any extral forms for govt employees?? I am applying for a fresh passport. But I have no rental agreement as I am staying in my relatives home so in this case what should I submit as adress proof? first of all its grt that you are helping lot of people through your post. i went through all the questions but i couldnt find the similar problem as mine. whether i can send my document by post. so can i send that one document by post to the passport office? My passport was issued in 2005 when I was a minor. This passport expired in 2010 after five years. Now I am 25 years old wants passport urgently for going abroad. My father is a Officer in a Central Govt. PSU and can arrange a certificate for urgent passport. We are at present living at the same address as mentioned in the expired passport but in the process to shift the our residence. Kindly advice shall I apply for issue of fresh passport or reissue of old passport. I apply at the same address being urgent and what action will be required after shifting of residence in the same city please.